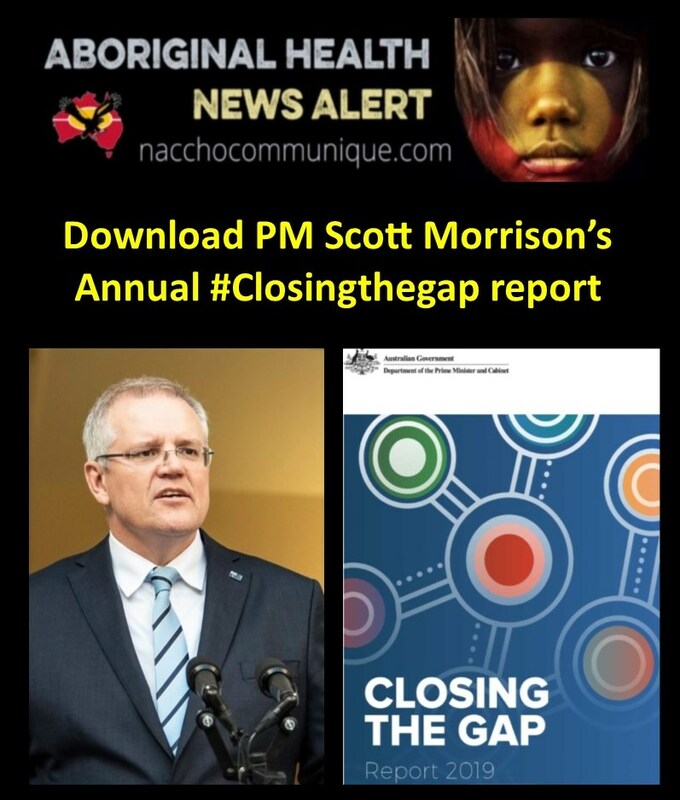 ← NACCHO Aboriginal Health and #RefreshTheCTGRefresh : Prime Minister Scott Morrison will today unveil a revamped #ClosingtheGap strategy which will give First Nations leaders equal standing with government in designing targets to overcome Indigenous disadvantage. This is why, two years ago, we embarked on the Closing the Gap Refresh. Ten years of the Closing the Gap implementation provides an important opportunity to reflect on what has worked and what has not. There have been shortfalls in both the implementation and leadership of the Closing the Gap agenda. In 2019, we want to try something new, to change the way we work as governments – to work in partnership with Aboriginal and Torres Strait Islander Australians. In early December 2018, a Coalition of Aboriginal and Torres Strait Islander Australians made representation to me. They came to me seeking a partnership, one that shared decision making on how future policies are developed, especially at a regional or local level. On 12 December 2018, I met with COAG First Ministers and together we agreed to form a partnership with Aboriginal and Torres Strait Islander representatives. This is the partnership the Coalition of Aboriginal and Torres Strait Islander Australians asked for. In listening to this group I realised that for Closing the Gap to be successful, we must change the way we work and work together. This partnership provides a platform for genuine collaboration as we agree how to move forward. 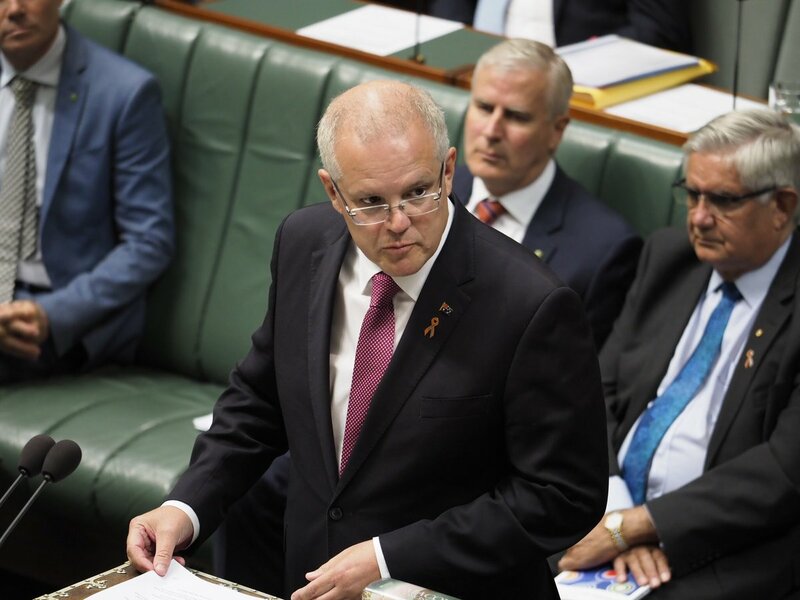 Since the initiation of Closing the Gap in 2008, each successive Prime Minister has delivered a report on outcomes and efforts by the Australian Government. Each year, the Prime Minister has delivered the message that the targets are not on track. There are many reasons for this, which inform our future approach. We know that beneath this story are examples of improvement and progress – more children are staying in school for longer and achieving year 12 qualifications. This education sets them up for better employment opportunities. This report of 2019 marks the final report against the Closing the Gap framework established in 2008 and a transition to the commitment of all Australian governments to do things differently. As we move into this next phase, Closing the Gap will be embraced as a whole of government agenda with all governments sharing accountability for progress and extending this shared accountability to include Aboriginal and Torres Strait Islander people. We should not let our failure to meet targets overshadow the successful, thriving lives of many Aboriginal and Torres Strait Australians and the great work that many in our communities have been doing to improve outcomes for Aboriginal and Torres Strait Islander Australians. Aboriginal and Torres Strait Islander businesses are growing, Aboriginal and Torres Strait Islander people are in meaningful jobs and doing well in our economy and the next generation of Aboriginal and Torres Strait Islander children are accessing education from early childhood to university. We should however embrace the requirement to change, we simply will not succeed by continuing to work in the same way. The main area of change needs to be in how governments approach implementation of policies and delivery of services. Stronger accountability can be achieved through co-designed action plans that link targets to policy action, funding decisions, and regular evaluations. This provides transparency for how we expect to achieve each target and by when. We know that Closing the Gap is foundational to building a fairer, stronger and connected Australia. It is equally important to recognise and celebrate Australia as the home of the longest living civilisation on earth, and acknowledge that the cultures of our First Nations peoples enrich us all. The Australian Government is committed to working in genuine partnership with Aboriginal and Torres Strait Islander peoples, a partnership which is critical to progress towards Closing the Gap. The journey to close the gap began in 2005, with the release of the Social Justice Report 2005, which called for Australian governments to commit to achieving equality for Aboriginal and Torres Strait Islander people in health and life expectancy within 25 years (Aboriginal and Torres Strait Islander Social Justice Commissioner, 2005). Non-government agencies responded with a National Indigenous Health Equality Campaign in 2006, and launched the Close the Gap campaign in 2007. The Council of Australian Governments (COAG) listened to Aboriginal and Torres Strait Islander communities and their stakeholders. In December 2008, COAG pledged to close key gaps, and recognised that a concerted national effort was needed to address Indigenous disadvantage in key areas. Six Closing the Gap targets were introduced, contained within an overarching Commonwealth and state and territory agreement called the National Indigenous Reform Agreement. A school attendance target was added in 2014 and an expanded early childhood target was added in 2015 following the expiry of the remote early childhood education target in 2013 (unmet). As four of the seven targets were due to expire in 2018, the Australian Government has worked with Aboriginal and Torres Strait Islander people and state and territory governments to develop the Closing the Gap Refresh. This is a new framework which builds on the original Closing the Gap targets and represents a continued commitment in effort and accountability from all governments for a further ten years. This report both acknowledges the future framework, while reporting progress against the original targets set in 2008. The target to close the gap in life expectancy by 2031 is not on track. Between 2010–12 and 2015–17, Indigenous life expectancy at birth improved by 2.5 years for Indigenous males and by 1.9 years for Indigenous females (both not statistically significant), which has led to a small reduction in the gap. The Closing the Gap Framework established in 2008 recognised that a national effort was required to address Indigenous disadvantage. Ten years on, we know that the lives of First Australians have improved, however it is clear that more work is needed. Working in partnership. We have developed partnerships at all levels to draw on the enduring wisdom and local knowledge of Aboriginal and Torres Strait Islander people. This recognises genuine partnerships are required to drive sustainable, systemic change. In particular, we recognise the need to work together to address the drivers of intergenerational trauma through our focus on early childhood, and using economic participation to drive social change. A strengths-based, community-led approach. We acknowledge Aboriginal and Torres Strait Islander people have been calling for Aboriginal and Torres Strait Islander policies to recognise and build on the strength and resilience of Aboriginal and Torres Strait Islander communities. We understand we need to support initiatives led by Aboriginal and Torres Strait Islander communities to address the priorities identified by those communities. Governments alone cannot create change, but we can commit to share responsibility and work alongside Indigenous Australians to enable change towards improved outcomes within their families and communities. Working with state and territory governments. We recognise a whole of government approach is needed to harness effort across agencies to ensure a cohesive approach to providing services for First Australians. Part of the approach under the Closing the Gap Refresh process will involve providing the leadership which ensures Commonwealth, state and territory governments have direct ownership of targets by the Commonwealth or states, specific action plans, and the oversight of the Indigenous Productivity Commissioner tracking outcomes. A robust evidence base. We know the most effective policies and programs are informed by evidence. We have established a cohesive approach to research and evaluation through the establishment of the Evaluation Framework and the Indigenous Research Exchange. This will strengthen policy decision making by providing high quality evidence, and recognises the importance of realistic targets and evaluation in directing effort to meet priorities. Accountability. A new role has been created in the Productivity Commission to develop a whole of government evaluation strategy for policies and programs that have an impact on Aboriginal and Torres Strait Islander people. Ensuring accountability from Commonwealth, state and territory governments will enable us to monitor and direct effort towards the outcomes that will deliver improved outcomes. These lessons have informed the way forward for Closing the Gap. In 2018, COAG agreed to refresh the Closing the Gap agenda. In December 2018, COAG committed to ensuring that the finalisation of targets and implementation of the refreshed Closing the Gap framework occurs through a genuine, formal partnership between the Commonwealth, state and territory governments and Indigenous Australians through their representatives. COAG reinforced that the formal partnership must be based on mutual respect between parties and an acceptance that direct engagement and negotiation is the preferred pathway to productive and effective outcomes. Aboriginal and Torres Strait Islander people must play an integral part in the making of the decisions that affect their lives – this is critical to closing the gap. To this effect, COAG issued a statement outlining a draft strengths-based framework, which prioritises intergenerational change and the aspirations and priorities of Aboriginal and Torres Strait Islander peoples across all Australian communities. The finalisation of this framework and associated draft targets will be agreed through a formal partnership. In this statement, COAG committed to ensure that the design and implementation of the next phase of Closing the Gap is a true partnership. Governments and Aboriginal and Torres Strait Islander people will share ownership of and responsibility for a jointly agreed framework which includes targets and ongoing monitoring of the Closing the Gap agenda. This will include an Aboriginal and Torres Strait Islander-led three yearly comprehensive evaluation of the framework and progress. Meeting specific targets in these priority areas will require the collaborative efforts of the Commonwealth, states and territories, regardless of which level of government has lead responsibility. 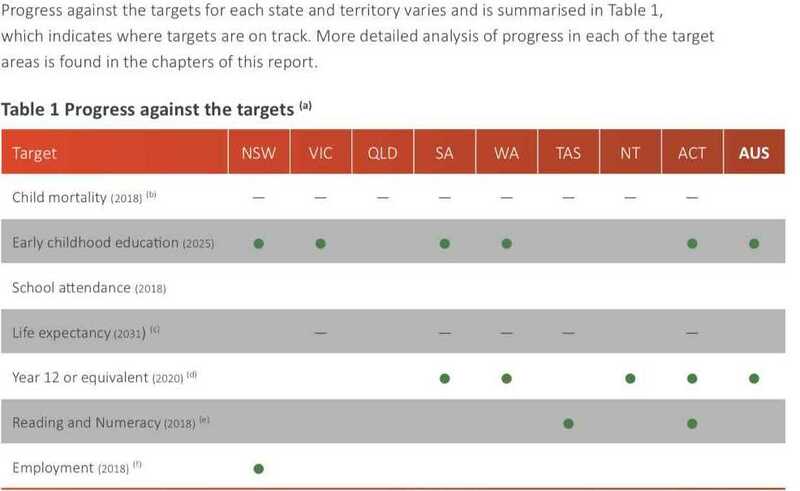 Commonwealth, state and territory actions for each target will be set out in jurisdictional action plans, and may vary between jurisdictions. COAG acknowledged that all priority areas have interdependent social, economic and health determinants that impact the achievement of outcomes and targets. The 12 December 2018 COAG communique and COAG Statement on the Closing the Gap Refresh are available on the COAG website.